Houseplants are one of the greatest ways to add warmth and life to your home decor. They are great accents and can also provide a healthy and creative hobby. 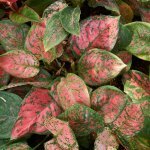 Many people are intimidated by the idea of having a houseplant that they have to take care of, but maintaining a houseplant is easier than many people think, especially if you are taking the best basic care steps. Here is some information on basic houseplant care for you to get started confidently. 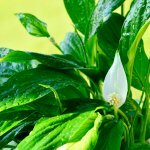 The most important steps for having a healthy house plant are choosing the right plant, getting the right amount of sunlight, proper watering, fertilizing and repotting. If you can do each of these steps correctly for all the plants in your house, then you will enjoy them for many years to come. When you are first starting to grow plants at home, start with plants that are easy to grow and to maintain. As you gain more experience and expertise, then you can move up to ones that are more difficult to maintain and that require more specific care. You probably don’t know which plants will require the least maintenance or which are the easiest to grow, but the nursery or store where you buy plants should. If they are not able to advise you on which plants are best for your skill level, then maybe you should consider shopping somewhere else. Many people get discouraged about growing houseplants because their first experience is too advanced and doesn’t end well. Getting the right plant to start with will improve the whole experience. Proper lighting is essential to any plant. In nature, different types of plants grow in different places because the proper amount of sunlight is available to them. Tropical orchids grow under the canopy of the rainforest because they don’t get direct sunlight, but just the right amount filters through the treetops. All plants need light and you need to understand what the needs of your specific plant are. This information is normally available on the tag that came with it when you bought it or from a nursery employee. 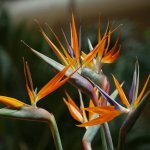 Overwatering a plant can be one of the main reasons that they die. If a plant’s soil has too much water, then the roots can actually rot or deteriorate and kill the plant from the inside out. Many people mistake drooping leaves and discoloration as a need for water, when what they really need is less water. If you notice that your plant doesn’t look right, feel the soil by sticking your finger in an inch or two to see how moist the soil really is. If the soil feels dry under the surface, then it is probably time to water again. 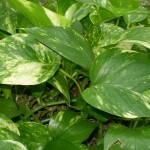 Fertilizing a plant is also an important step. 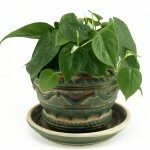 Many houseplant potting mixes already have the appropriate amount of fertilizer in them and it is released over time. Be sure only to use houseplant fertilizers, not grass or outside plant fertilizers, because the concentration could be too high for a potted plant and actually burn the plant. When a plant gets too big for a pot or the soil is depleted or no longer suitable for use, then it is time to repot the plant. It is important to have everything laid out and ready before you start the process. This will ensure that the plant suffers the least amount of trauma possible and that it will continue to thrive in its new home. When you remove the plant from the original pot, pull by the main stem and not from the leaves or branches. See if the roots are too tightly packed and need to be trimmed before repotting. You should choose a pot that is only a little bigger than the previous one to ensure the plant will not ‘drown’ in the new pot.